The 2018 Ironman 70.3 is a triathlon event that will be held at Mooloolaba on the Sunshine Coast. This exciting event welcomes participants from all over the world and from all age groups to compete for the ultimate prize. Perfectly located, Mooloolaba provides the perfect setting for this event due to its year-round warm climate and pristine surf beaches. 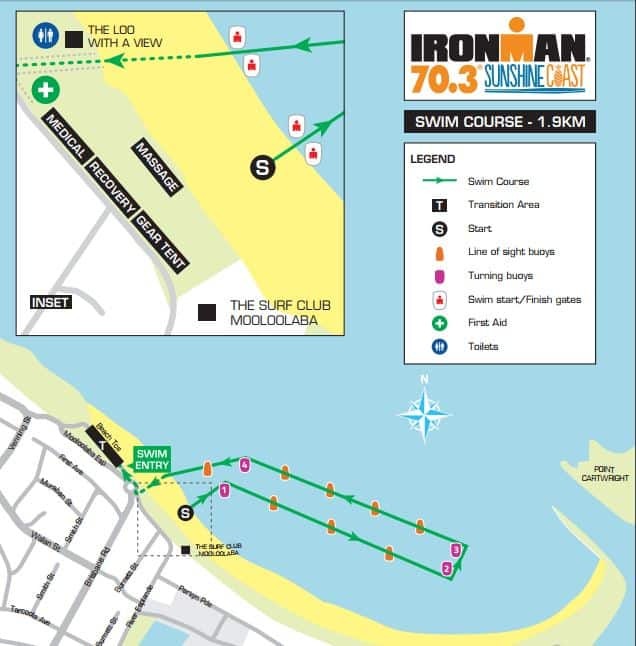 The race begins with a 1.9km swim, followed by a 90km bike lap which incorporates both flat and fast sections and finally a 21.1km foot race which will finish in the heart of Mooloolaba. Swim: 1.9km – A beach start which is located 800m South of Loo with a View. 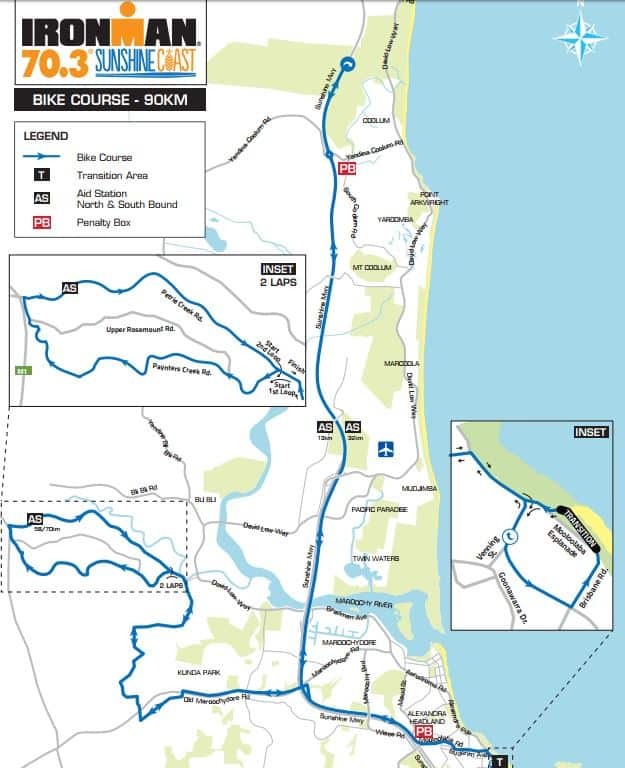 Ride: 90km – Transition is located on Beach Terrace in Mooloolaba and the race heads out onto the Sunshine Motorway via Mooloolaba Esplanade and Buderim Avenue. Run: 21.1km – A two lap course in a clockwise direction. 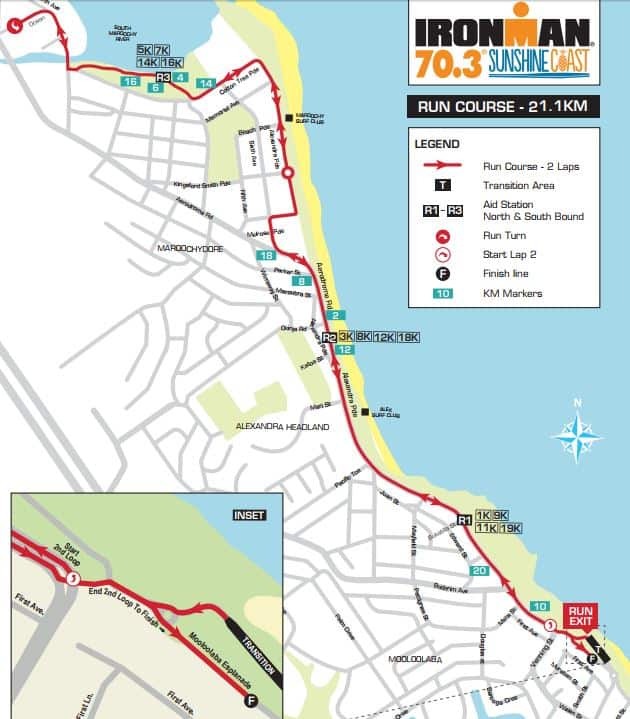 From Transition, runners will head north and onto the iconic Mooloolaba Esplanade After heading over the scenic Alexandra Headland hill athletes will continue to Cotton Tree via Sixth Ave and Alexandra Pde. With more than 1,800 athletes from around the world (who qualified at another IRONMAN 70.3 event) competing at this event, this makes the Ironman 70.3 one of the biggest sporting events on the Sunshine Coast. All athletes must be 18 years of age on race day. The swim will be an in-water wave start and athletes should note that wetsuits are not permitted. For spectators, the best place to watch the athletes is in the transition area and the finish line. IRONMAN 70.3 Sunshine Coast is offering tiered pricing based on entry allocation rather than dates. Once allocations are sold at each level, the price will go up. Details aren’t yet available. I suggest you check back with us in January 2017, I will update the information when registration information comes to hand.